The Gawler GP Inc. health service is a purpose built health care model for Gawler and surrounding towns. We offer Accident & Emergency and Afterhours GP services which are staffed by specially trained Accident & Emergency doctors and local General Practitioners. Gawler GP Inc. is the result of a collaboration of the local General Practices and Government bodies to ensure locals have access to quality health care when they need it. Gawler GP Inc is contracted by Country Health SA to provide the Accident & Emergency service for Gawler Hospital. In addition Gawler GP Inc also provide an Afterhours GP Clinic, an Afterhours Wound Management Clinic and Inpatient services for patients who are not aligned with a local GP with admitting rights to Gawler Hospital. Conveniently Gawler GP Inc operates all its services from the Accident & Emergency Department of the Gawler Hospital (save and except for inpatient services which are carried out on the wards of the Hospital). The Accident & Emergency Department is operational 24 hours a day every day. The Department is staffed by specially trained Accident & Emergency Doctors and nurses who are onsite at all times. When presenting to the Accident & Emergency Department patients are assessed by a nurse and undergo a process called Triage which ensures that patients requiring more urgent treatment are seen as a priority. An example of this process in action would be if 2 patients presented at the same time – one presenting with chest pain and the other with a sprained ankle. The Triage process would ensure that the patient with chest pain would be seen by a doctor before the patient with a sprained ankle. Please note a gap fee applies for this service – see Our Fees page for further information. 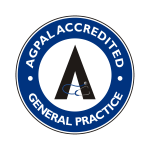 Our AGPAL accredited Afterhours GP Clinic is designed to support local General Practices with the afterhours care of their patients. It also works alongside the Accident & Emergency Department treating less complex cases to ensure the Accident & Emergency Department can continue running at optimal capacity. The Afterhours GP Clinic operates each evening and on weekends after local GP Clinics have closed – see our hours above. The majority of the Afterhours GP Clinic sessions are staffed by local GP’s from local clinics and manages mostly GP type presentations such as muscular/skeletal injuries, lacerations, upper respiratory infections, skin irritations, ear infections etc. The Afterhours Wound Management Clinic is staffed by specially trained Wound Care Nurses. The Afterhours Wound Management Clinic runs twice a week on a Tuesday evening and Saturday morning and is a free service – Refer to Our Hours Page for specific opening hours. It is aimed to assist patients who need regular or repeat wound dressing changes by accessing a best practice service during the afterhours period. Referrals to the service can be done by local GP’s or the Hospital upon discharge. Appointments for the service can be made by telephoning GP Inc reception and speaking with a receptionist between the hours of 9am to 10pm any day. Gawl er GP Inc now employs doctors to perform daily Ward Rounds for care of inpatients admitted to the Hospital who are not aligned with a local GP with admitting rights. This service ensures that locals requiring admission to the hospital can receive inpatient care and treatment at their local hospital. Patients using our services have access to radiology and pathology if required. Please be aware that additional out of pocket expenses may be charged to you by the providers of these services. Please discuss potential costs for radiology or pathology with the service providers if you have any concerns. Need after hours GP service? No appointment is necessary for non-urgent visits with the GP in the after hours clinic.